This is an ex-library book and may have the usual library/used-book markings inside. This book has soft covers. In poor condition, suitable as a reading copy. Very Good. Rick Steves' Spain 2012 by Steves, Rick, 2011-10-20. Rick Steves' Spain. Good. Rick Steves' Spain. Visit the Guggenheim Bilbao where the building itself is a tremendous work of art, sample the nightlife of Madrid that ends when the offices open, and witness the excitement and gore of a bullfight--these attractions and more are highlighted in this tour guide for the pocket. Good. Rick Steves' Spain 2014 by Steves, Rick, 2013-12-12. 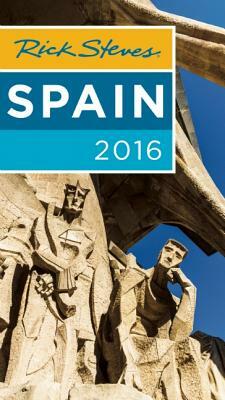 Rick Steves' Spain.